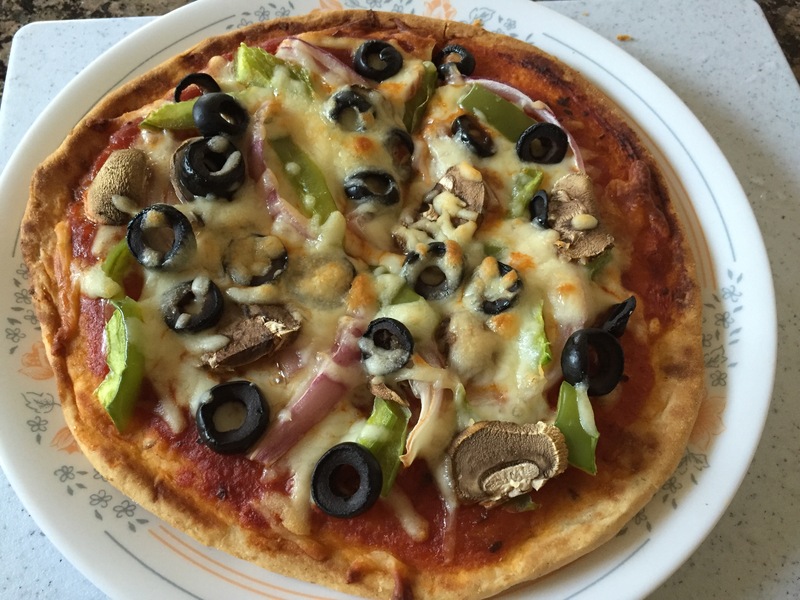 Am sure everyone knows how to make nan pizza. Today I made it using onion nan and loved it. Onion nan has little flavor so if you like your base flavored then you will like this. Onion nan is available at Indian store in frozen section. Spread pizza sauce on nan. No need to defrost nan. Add half of cheese. Add your favorite toppings. I like lots of veggies. 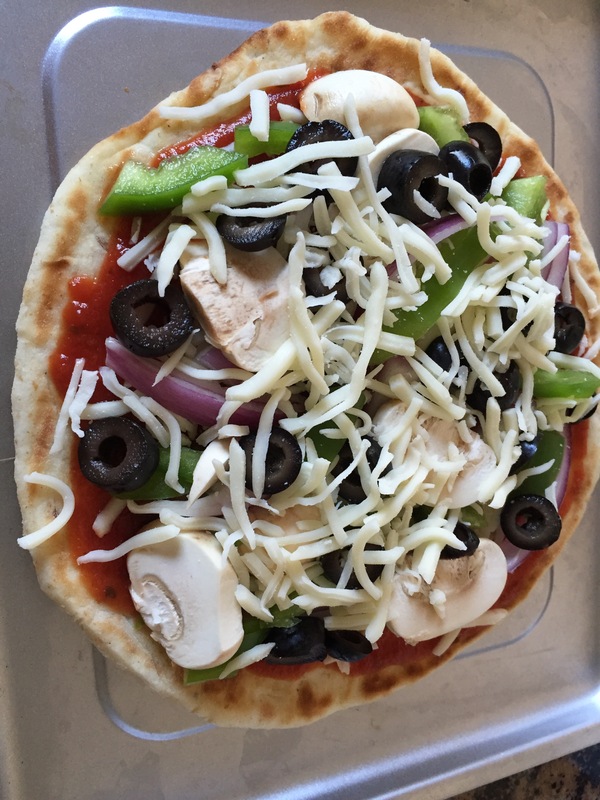 Green pepper, black olives, red onion and mushroom. I baked in toaster oven for 30mins. First 15 mins at 400F and then at 350. Turned out nice crispy . Pictures are of before and after baking. This entry was posted in Pizza, Uncategorized. Bookmark the permalink. ← Air Pollution – Let’s do our part.